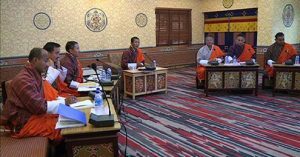 The Bhutan Government on Saturday said that setting the Gross Domestic Product (GDP) target beyond eight per cent would rather widen the gap between the rich and poor. Prime Minister Dr Lotay Tshering said this at the Meet the Press session when queried whether the current GDP target set at six per cent would help realize the ruling party’s vision of narrowing the gap, according to reports. The Prime Minister was quoted as saying that 99 per cent of ‘our pledges are within the middle and low-income group and that will not have substantial improvement on GDP’. The government has set the GDP target for the 12th plan at six per cent which was not well received by the Opposition Party and the National Council during the first session of the third Parliament, which ended recently. Meanwhile, the government has announced to regularize the contract employees in all sectors and not just the education ministry. However, Prime Minister Dr Lotay Tshering said this does not mean they will be regular civil servants. During the meeting, the Prime Minister affirmed that contract employees cannot be regular civil servants as the Royal Civil Service Commission (RCSC) works with their own set of rules. He, however, added that the government has other ways of regularizing contract employees. On the other hand, the government said it is keen to introduce breastfeeding allowance for those mothers who are not entitled to six months maternity leave despite not having any budget allocated in the 12th Five Year Plan. 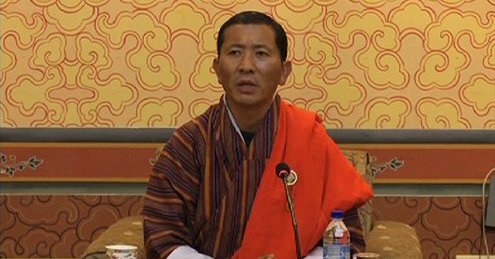 At the meet the press session on Saturday, the Prime Minister Dr Tshering said ‘this will be a wise investment given the enormous health benefit it has to both mothers and the newborns. However, he clarified that mothers will also have to fulfill certain criteria such as ensuring 100 per cent antenatal check-up, hospital delivery and timely immunization of their newborns.